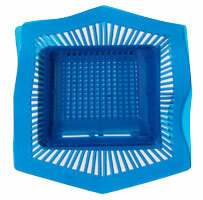 SplashGuard™ is a proven anti-splash urinal screen and pad. 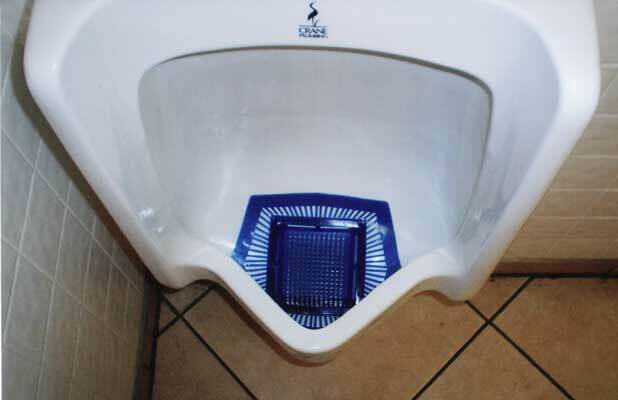 If you're tired of splash back, then this urinal screen is your product. 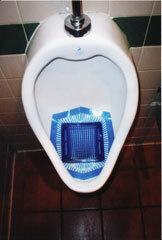 SplashGuard™ urinal screens have a patented design that totally eliminate splash back on users and the large flexible base pad eliminates obstruction of drainage while the built-in deodorizer (cherry scent) eliminates order. There are 3 equal sides with openings and 1 side with bars. The side wall WITH BARS MUST FACE THE USER. This is the FRONT. 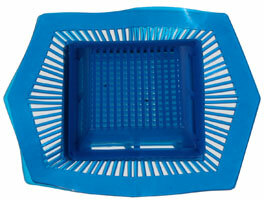 Each urinal screen has 2 different assembly options: One for a wide basin urinal (Fig. C), one for a narrow basin urinal (Fig. D). If necessary the pad can be removed and repositioned for the appropriate size basin (Fig. A and B). Align receptacle as seen in Figure C for urinals with wide basins.